Good of Goshen story submitted by Joe Mehl. 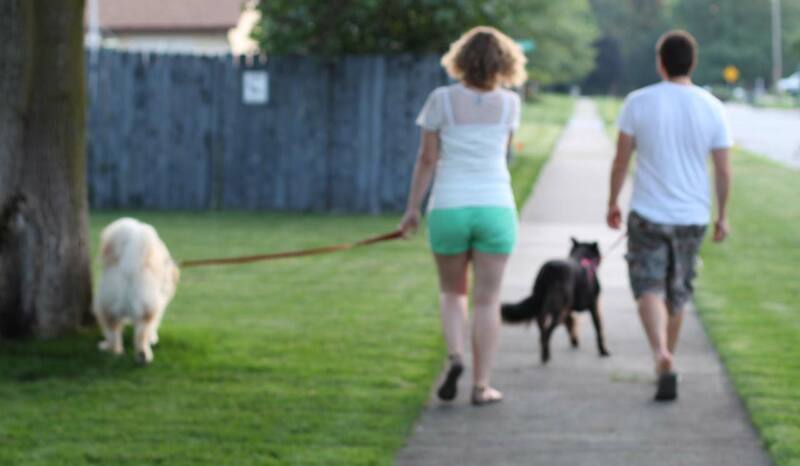 Joe and Amanda Mehl walking in their neighborhood in Goshen. Do you dream of a safe place to take your dogs in Goshen or are you sick/scared of seeing off-leash dogs in the city parks? Well, that is one main focus behind bringing Goshen a bark park! Besides promoting pet safety this bark park could have a large number of uses. For the betterment of the Goshen Community I am taking the lead to bring Goshen an off-leash bark park (dog park) so that the furry family members of our great community can have a safe off-leash space of their own! It is my dream to bring a safe off-leash space for Goshen furry family members and promote pet education and pet safety classes but as well as adoption events. These are only a tip of the iceberg for plans on how this bark park would benefit the the Goshen community. 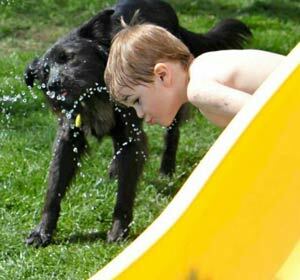 My dog Sadie and my nephew Mason Scott swimming and playing in the backyard of my parents, house in Goshen.